At last week’s Cruise Europe meeting in Stavanger, Holland America Line announced that it would become the latest North American line to base a ship in Europe year-round and the second to base a ship year-round in northern Europe. Meanwhile, two American lines have now announced redeployments away from the eastern Mediterranean for the winter of 2011/12. In South Africa last week, MSC took over local cruise seller Starlight Cruises. And as Genoa and Marseilles announce booming cruise numbers, the MSC Opera sails from Southampton and SeaDream I arrives in London, each for the first time. On Thursday, Holland America Line announced that with effect from 2012 it would be basing its 1,404-berth Rotterdam at her namesake port year-round, the first time a Holland America ship will be based in Holland since the line was Dutch-owned, and the first Holland America cruise ship to be based in Europe year-round. The 61,849-ton Rotterdam, completed by Fincantieri, entered service in December 1997 and had her last major refit in December 2009, when several spa, Lanai and verandah staterooms were added. The ship is registered in Rotterdam and capable of speeds of up to 25 knots, which should be useful on cruises to the Mediterranean, should the price of fuel allow. Holland America Line’s roots in Rotterdam go back 138 years to 1873, when it was founded as the Nederlandsch-Amerikaansche Stoomvaart Maatschappij. Moving its headquarters temporarily to Curacao during the Second World War, New York became the company’s headquarters in 1971, and finally, in 1983, after its acquisition of Westours, the company moved to Seattle. In 1989, Holland America Line, with then a fleet of four ships, became the first outside brand to join the Carnival stable, and today, with the backing of Carnival Corp & PLC, its fleet stands at fifteen ships. The line’s ceo Stein Kruse made the latest announcement at the Cruise Europe conference in Stavanger last week. 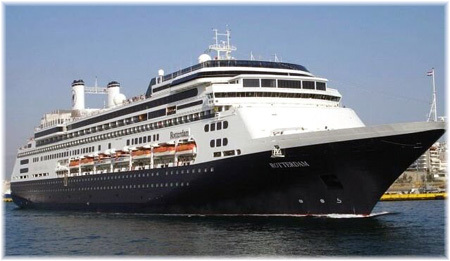 Following the 2012 summer season, Holland America Line will base the Rotterdam in Holland year-round and she will perform a number of short cruises to Oslo and elsewhere, as well as longer cruises to the Canaries and even to Indonesia, the latter no doubt indicating a more extended cruise that will keep the ship away from the cold for most of the winter. Holland America expects more than half of Rotterdam’s passengers will be Dutch and if 5.3 million Finns can support a ship such as the 380-berth Kristina Katarina, then there is no doubt that 16.6 million Netherlanders will be able to do the same for the Rotterdam. While lines such as Cunard, P&O and Fred Olsen Cruise Line have technically operated year-round from northern Europe in the past, their ships have often been deployed elsewhere in January, either on world cruises or extended voyages or for a season in the Caribbean. But in recent years, lines such as Costa, MSC, Louis, NCL and Royal Caribbean have all decided that Europe was ready for year-round cruising, although admittedly in the Mediterranean. Royal Caribbean’s decision to base the Independence of the Seas in Southampton year-round, however, marked a departure for an overseas line, with a decision to base a ship year-round in northern Europe. Last winter, Cruise & Maritime also operated a winter season from the UK. 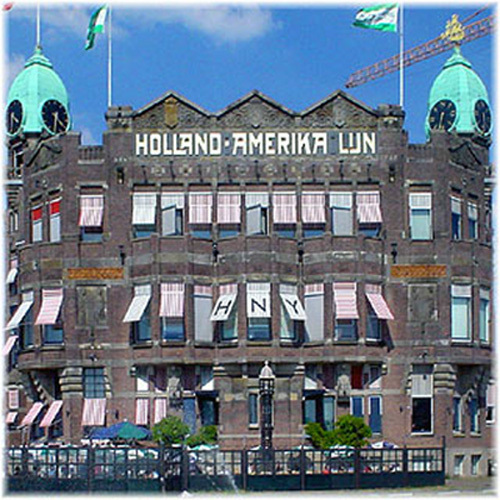 Although Holland America closed its North Atlantic service in 1971, it has always sent ships to Europe and has been redeveloping its Rotterdam base since 2007. The now Seattle-based line has recently been doing all it can to draw on its European roots and to entice more European clients. Its ships also continue to be staffed by Dutch officers and crew from Indonesia, the former Dutch East Indies, something that, while it was first objected to, has now become an accepted tradition. Two Holland America icons stand out in Rotterdam. Holland America’s last regular Transatlantic liner, the previous Rotterdam, Dutch-built in 1959, has recently opened as a floating hotel, Cruise Hotel SS Rotterdam, in the Maashaven section of the port, while the line’s former head office building, built in 1901 adjacent to what is now the Wilheminakade cruise terminal, has found a new life as the 72-room Hotel New York. The Rotterdam will also be performing a round-trip Transatlantic crossing from Rotterdam this summer, departing for New York on July 3, with a call at Southampton, and returning from New York on July 12, with calls at Cobh and Southampton before arriving back at Rotterdam. Two American cruise lines, Royal Caribbean International and Norwegian Cruise Line, have now cancelled some of their eastern Mediterranean itineraries because of a drop in demand form their home markets in North America. This is despite the fact that some US-based lines have been successful in getting more business by cutting fares. First to react was Royal Caribbean, which last month cancelled a series of 14-night Eastern Med cruises scheduled for the 3,114-berth Navigator of the Seas between November and April. Instead, she will end her Mediterranean season early and head back to Fort Lauderdale, where she will offer alternating 5- and 9-night Caribbean itineraries. A combination of unrest in North Africa and the Middle East and higher air fares caused by a rise in fuel prices has been added to by the fact that winter cruising in the Mediterranean may not turn out to be as popular as it is cracked up to be, especially after some passengers on board the Brilliance of the Seas suffered injuries in a major storm and high waves off Alexandria six months ago. On Friday, NCL followed suit, announcing that it would cancel a series of fifteen 10- and 11-night eastern Med and Holy Land cruises by the 2,466-berth Norwegian Jade, to reposition her to Barcelona for a series of 9-night cruises to the perceptibly less troubled Canary Islands. Although the Jade’s cruises to Turkey, Greece, Israel and Egypt would have made only one call at Egypt, a lack of bookings has led NCL to make this decision. For those who were booked and can sail earlier, the Norwegian Jade will still perform four Eastern Med cruises in October/November before she goes to dry dock, before starting her new Canaries season from Barcelona on December 8. 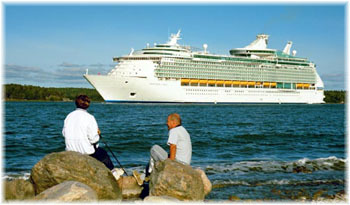 While the Navigator of the Seas returns to Florida, the Norwegian Jade at least will remain based in Europe year-round. Perhaps, as some speculate, higher rates of return have attracted too many US-based ships to Europe, but only the Navigator of the Seas’ return to Florida will reduce European capacity, and only to a small extent. It leaves the 3,634-berth Southampton-based Independence of the Seas as the only Royal Caribbean ship to remain in Europe year-round. Even in the summer season, Royal Caribbean increased from eight ships in 2010 to eleven this year and plans to have twelve ships in Europe in 2012. South Africa will see a new cruise operator from this month in MSC, which announced last Thursday that it had taken over local cruise operator Starlight Cruises. Starlight’s predecessors, TFC Tours, started in the business over thirty years ago, taking ships from Epirotiki Lines of Piraeus. This ended, however, with the notorious loss of the Oceanos in the Indian Ocean in August 1991, when the master left the ship by helicopter in order to “supervise” the rescue operation. TFC had also chartered other Epirotiki ships such as the Aegean Dolphin, Odysseus and World Renaissance but did not survive the bad publicity. Starlight Cruises was then formed to take over from TFC Cruises and to replace the Oceanos it took on the Achille Lauro from StarLauro Cruises of Naples. StarLauro, previously known as Flotta Lauro, formed the foundation of today’s MSC Cruises when it was taken over by Gianluigi Aponte’s Mediterranean Shipping Company in 1989. MSC is today the world’s second largest container shipping company. By 1994, Starlight Cruises was booking 17,000 cruise passengers in a typical South African cruise season. In the next season, however, more misfortune followed when on November 30, 1994, the Achille Lauro was lost to fire off the coast of Somalia as she made her way south for the 1995 season. That same year, StarLauro changed its name to MSC Cruises. Still operating with one ship, Starlight variously took in the MSC Symphony, MSC Monterey, MSC Rhapsody and MSC Melody. The first of the newer and larger ships, the 1,566-berth MSC Sinfonia went south for the first time in 2009, joining the 1,098-berth MSC Melody. In 2011, MSC Sinfonia’s third season in South Africa, Starlight booked a record 120,000 passengers for the two ships, and the market is still growing, with both ships due to return for the 2012 season. Effective this month, therefore, the now MSC-owned local organisation became known as MSC Starlight Cruises. MSC Cruises and its predecessors have also traditionally operated liner voyages at the beginning and end of each South African season, to position the ships between Italy and South Africa. For many years, these ran down to Durban through the Suez Canal, southbound in November and northbound in the spring. More recently, however, because of the presence of pirates off the coast of Somalia, these positioning voyages have taken the western route through the Atlantic between Cape Town and Genoa. The MSC Sinfonia, for example, left Cape Town on May 3, has made calls at Walvis Bay, Dakar, Tenerife and Madeira and is today in Malaga, en route to Civitavecchia and finally Genoa, where she is due on Saturday. In an interesting measure of the economy, and perhaps events in North Africa, both Genoa and Marseilles reported passenger statistics last week, with both reporting a huge surge in cruisers but a drop in ferry passengers. 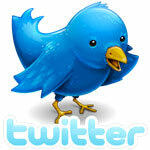 Genoa reported a rise to 860,290 cruise passengers in 2010. MSC handled 661,000 of this number, up 28%, while Louis Cruises doubled to 123,000 passengers and Royal Caribbean handled 44,000. 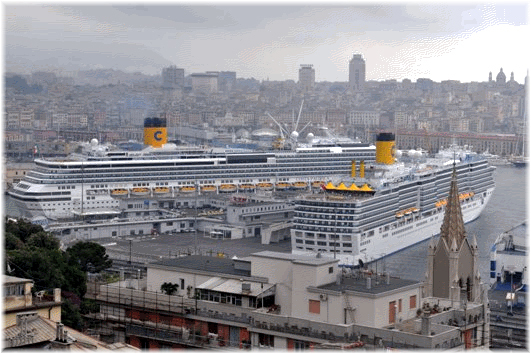 Genoa-based Costa Cruises uses its own terminal at nearby Savona for its cruise traffic. In the same period, the number of ferry passengers using Genoa dropped 2.7%. Reflecting the growth of the French cruise market, Marseilles reported a 43% rise in cruise passengers for the first quarter of 2011, which is the quiet winter period. Nevertheless, traffic came to 54,000 cruise passengers, of which about 22,000 were embarkations and the rest through passengers. Ferry traffic, at 110,000 passengers, was down 9%, chiefly to Corsica and Algeria, where traffic may have been affected by the uprising in Tunis. May 7 saw the departure of the 1,756-berth MSC Opera on her maiden cruise from Southampton, a 10-night voyage to the Baltic. However, yesterday she suffered a total loss of electricity and motive power and this morning she was towed into Nynäshamn, near Stockholm. 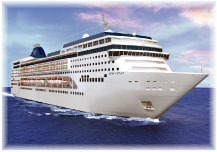 Her passengers are now being repatriated from Stockholm and being offered a credit voucher for the full value of the present cruise that they can use by December 2012. MSC Opera’s schedule had called for her to return to Southampton on Tuesday and Amsterdam the following day but as a precautionary measure that cruise has now been cancelled while technicians get to the bottom of the problem. The ship had previously operated from Dover. Also on May 7, the 110-berth mega-yacht SeaDream 1 arrived in London, remaining in port overnight to entertain media, travel trade and customers. London Deluxe Accommodation Group will be bringing both SeaDream 1 and her sister ship SeaDream 2 to London to use as accommodation vessels for the 2012 Olympics between July 27 and August 12.